Excellent location, safe neighborhood, comfortable and clean. Coffee shop on the corner, restaurants and OXXO less than a block away. 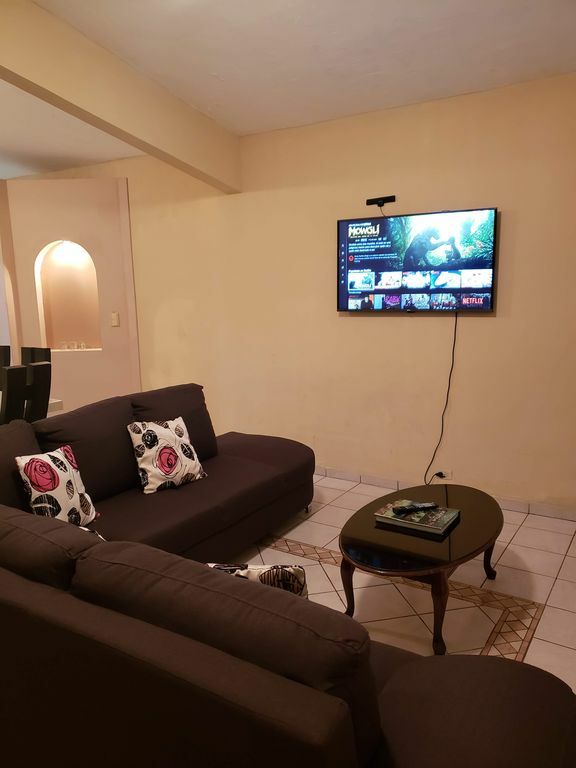 The house is located 5 Blocks above Abasolo street which becomes the tourist center and waterfront promenade "El Malecon", just 4 blocks later. It is an easy walk to the Marina and all the bars, restaurants and night clubs. Next door to the house you will find, El Faro Cafe, serving organic coffee and pastries. 3 houses away you will find the famous, Tacos Niku, with some of the best Papas Asada in town. Where our street hits Calle Abasolo you will find restaurant, El Paisa, known for their for Al Pastor and Carne Asada, as well as Bar El Moraima which serves La Paz's most famous Whale Preperated. (A beer based Bloody Mary made in 1L Pacifico bottles). Fully equipped kitchen, Wifi, Front and Back Patio.